Choosing IVR for hotels is much the same as buying a product. You look at the specs, performance, and reviews before zeroing in on a vendor of IVR solution. Then again you have the analogy of the way nobility used to buy Rolls in the days gone by. They would get the chassis and have custom coachwork. You could say that choosing a hotel IVR is almost similar. The underlying open source framework is the same. Little touches of customization and implementation distinguish the IVR’s performance. It is necessary given the way hotels and resorts operate. There the are two sides to operations of the hospitality industry. One is external relating to inquiries and bookings. The other is internal related to guests in residence and internal actions like a guest setting a wake up alarm, ordering food or a taxi using the hotel IVR system. The two need to operate in separate channels but unified in a CRM at the backend. The way visual IVR is gaining in popularity is an indicator of just how much better it is compared to the audio prompt based IVR. Whereas a caller would have to listen to the audio prompts in sequence and thus waste time while frustration mounts, the visual IVR solution presents the entire menu at a glance on the caller’s smartphone screen. He can directly tap the service he wants. If the customer wishes to speak with a human agent, all he has to do is tap instead of following a labyrinth of myriad key presses. Think just how delighted the customer would be with this type of self service. Let us admit it. IVRs are pretty dumb. That need not be the case for the hotel IVR system you choose.  Find the right vendor that offers AI embedded IVRs that can sense mood of caller, recognize language and even offer natural language translation as well as text to speech and speech to text and you will love to use the IVR as will customers. The hotel industry needs to address customers calling from any part of the world in any language. An IVR that recognizes language, or at the very least recognizes the country from the country code prefix can greet callers in the language of that country. Customer experience matters and the day is not far off when, instead of just a series of responses, your caller will be talking with a near humanoid IVR. For the present, however, you may have to make do with bots. If AI will make inroads into IVR to improve it then there will also be AR and VR down the road. A customer calls and wishes to know about directions or about the room and amenities. The IVR gives him a walkthrough, or places him on a map. While that is still to come, it is comforting to know that IVR systems available today can give him details of the room, tariffs and driving directions. The vendor is just as important as the IVR solution you choose because of emerging technologies to be implemented in the time to come. Constant support, evolution of the IVR and possibly hosted service should count when you choose IVR.